We admit it – we love trucks here at Precision Audio! We love everything about them. And in our opinion, nothing looks better than a truck with a lift kit or a leveling kit installed on it. When you’re driving up the road and people are looking up at you, it just seems to command respect, and maybe a little awe. Modern trucks ride better than trucks from decades past, since the newer suspension systems are more advanced, but progress is never free. Modern suspension systems are also much harder to work on, so the necessary skill level is much higher. Fortunately, the technicians at Precision Audio in Bainbridge and Thomasville are highly skilled and expertly trained in these coil-over–style independent suspension systems. Here are some of the most popular products we sell. 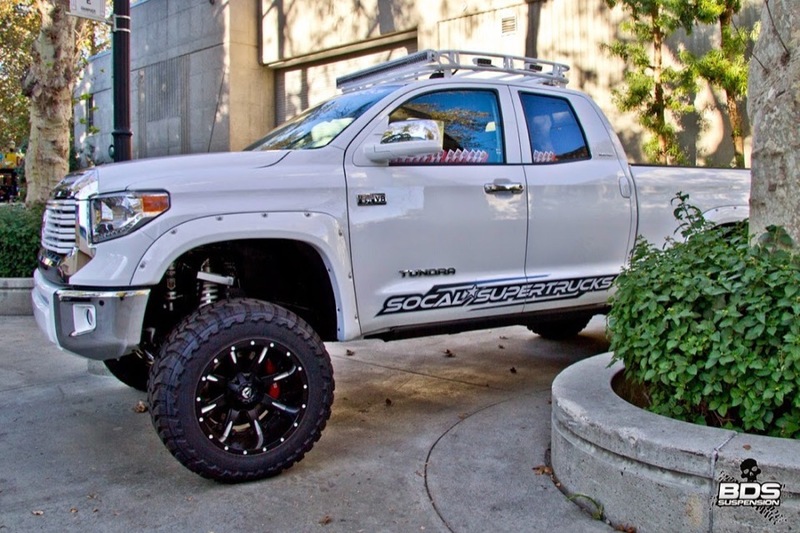 Leveling kits are an inexpensive way to transform the look of your truck. Have you ever noticed that, when a truck is sitting on level ground, the back end sits noticeably higher than the front? A leveling kit addresses that by lifting up the front suspension a few inches to level out the vehicle. 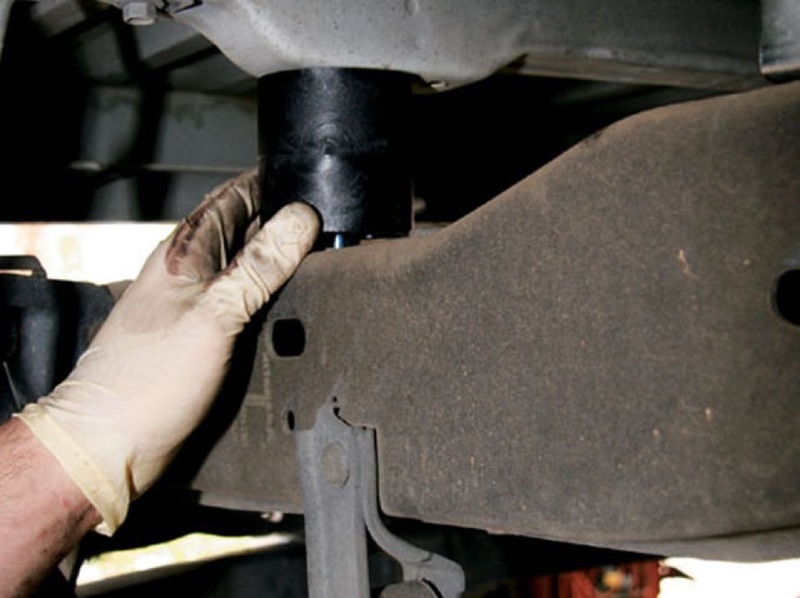 Your truck will look a lot better and will now accommodate larger tires underneath it without rubbing. 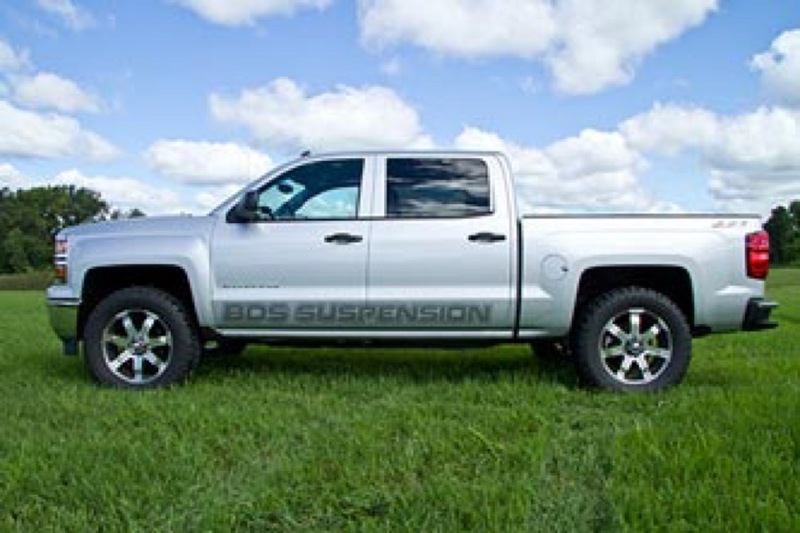 The ride quality of the vehicle becomes very much like a stock truck, and the cost of this style of lift kit is a fraction of a full-blown suspension lift kit. If you’re on a budget, or if you just want a “little lift kit,” this may be your perfect solution. For many people, a truck is not a real truck unless it sits up high in the air. You know who you are – you like to drive over things just because you can. You want to stuff the biggest tires possible underneath your vehicle, and you don’t mind some trimming if it means you can go bigger. We get you. We understand. We have the same problem. We think the higher a truck is lifted, the better it looks. We offer suspension systems in many different heights for popular models – many times, we may have two or more different styles at the same height. You see, some lifts are designed mostly to clear larger tires. These are more of the road warrior suspension systems. They ride great, and they look great, but they are not designed to take a serious beating off-road. If you’re the kind of person who loves carving out that new trail, or is always looking for that next rock-crawling adventure, Precision Audio has you covered as well. We have systems with dramatically increased suspension travel, and ones with hard-core coil-over shocks, designed to take a beating and keep coming back for more. Block kits are completely different from suspension lifts. These systems lift the body up off the frame a few inches with the sole goal of fitting larger tires. As they don’t change the suspension at all, they are less expensive to install, and the ride quality is exactly the same. Many road warriors like to do suspension lifts and block kits together to maximize their increase in tire sizing. But what good is one of these lift kits if it isn’t installed properly? And do you really want to gamble on something as critical to your safety and the life of your vehicle as your suspension system? Having a poorly designed and installed system is like taking your life in your hands. And that doesn’t sound very appealing to us. Fortunately, Precision Audio has spent significant time and resources to source what we feel are the best-value, most-reliable, highest-performing systems available today. And when you add in our highly skilled technicians, you end up with a winning formula. We invite you to stop by Precision Audio with your truck. We would love to scope it out together. We will get to know you better and discuss your goals for the vehicle. We will then work with you to design and install the best solution for your needs. Feel free to contact us here for more information on any of our product categories.